The inauguration of a new president might be expected to signal a restoration of political stability. But with Vladimir Putin’s (re-)entry to the Russian presidency on 07 May 2012, Russia’s leading entrepreneurs see their investments and corporate assets increasingly exposed to political risk. In the autumn of 2011 the country’s middle class, together with diverse opposition forces and a bohemian circle of writers, singers and prominent journalists, challenged the corrupt electoral process in Russia which had led to the questionable victory of the pro-government United Russia Party in the parliamentary elections. Most importantly, the opposition rallies in Moscow questioned Mr Putin’s ability to deal with Russia’s archaic and non-transparent political and economic system. He responded with promises of extra public spending and genuine competitive elections, while painting a gloomy picture of the political chaos that would ensue, were he to be forced out. Ironically, Russia’s highly divided opposition movement and its nascent middle class, so vocal during the recent public demonstrations in Moscow, are not the real threat to Vladimir Putin’s rule. His two biggest challenges in the next two years will come from growing divisions within the political and business establishment, as well as potential new waves of mass discontent with unpopular economic reforms in Russia’s big industrial centres. As a result, even if Putin manages to reach his short-term objective of restoring stability through political reforms and additional public spending, he may find it highly problematic to retain power beyond 2014. The planned reforms to domestic pensions, the educational system and budgetary organisations seek to decrease government spending and facilitate greater economic stability in the country. In reality, however, these reforms could lead to a considerably larger wave of widespread mass protests by comparison with last year’s Moscow rallies or the social upheaval of January 2005 which was provoked by the monetisation of social benefits reform. The combination of Russia’s WTO membership and the prospective liberalisation of domestic gas prices could also have a negative impact on the big industrial centres of the country which have traditionally benefited from government protectionism. Although these reforms and policies are vital for Russia, their timing and sequencing may prove politically destabilising. As a result, Putin’s position in 2013-2015 could ironically be a replay of the Yeltsin presidency during 1998-99, when key elite groups led by regional governors and oligarchs tried to influence the succession. In the case of Vladimir Putin’s third presidential term, diverse interests within Russia’s business establishment are likely to play the main role in facilitating Putin’s departure and succession. The key dilemma for Russia’s billionaires is how to safeguard their assets in a politically volatile environment. Although twenty years have passed since the collapse of Soviet communism, property rights are still not protected in Russia. The country’s businesses, big and small, are still exposed to a highly corrupt legal system, arbitrary executive power and non-transparent political structures. Moreover, Russian companies are often compelled to make regular corrupt payments, comprising a large share of their gross profits, to the domestic regulatory, security and law enforcement agencies. In the 00s, Russian billionaires increasingly started to rely on protection through partnerships with leading foreign investors (as was the case of the Russian-British joint venture TNK-BP) and elaborate offshore ownership structures including Western contracts to ensure long-term protection of their investments under the international legal system. However, following the Yukos affair, leading Russian entrepreneurs opted to limit their political risks through maintaining a good personal relationship with Vladimir Putin. In 2000-2008 Putin’s ‘power-vertical’ of centralised decision-making and high popularity ratings made him politically invincible. At the same time, rising global oil prices gave him domestic credibility as an ‘effective economic manager’ and boosted his confidence in international affairs. Since party politics and democratic legislative structures were of no importance, Vladimir Putin emerged as the only force in the Russian political system that could maintain its stability. Naturally, such a system lacks an institutionalized mechanism for the succession of political power, transparent interactions between economic and political players and long-term protection of property rights. As a result and ironically, the leader, who no longer enjoys high popularity ratings and could no longer rely on the highly-corrupt law enforcement apparatus to stay in power, becomes the system’s main liability in the eyes of the elites. Putin’s primary problem has been a loss of his credibility as a leader of national unity who can effectively fight widespread corruption, modernise and diversify the economy, promote social mobility and deal with growing social inequality. Moreover, Dmitry Medvedev’s interim presidency, despite the limited impact of most of his policies, created certain expectations of change not only within the society, but also among the modernising segments of big business. In this respect, the return of Vladimir Putin to the Russian presidency has become associated with a return to stagnation, not stability. Putin may have averted political confrontation by allowing mass protests to run unhindered in Moscow in the autumn of 2011, but his condescending comments about the opposition rallies tarnished his image as a confident political leader. Moreover, public remarks, by the head of the Russian Orthodox Church, Patriarch Kirill, urging Putin to treat the opposition with respect further undermined Putin’s position as an unchallenged ruler. In a surprising coincidence, the Patriarch’s comments were immediately followed by a widespread campaign against him, accusing him of living a lavish life-style and benefiting from government quotas for alcohol and tobacco imports and oil exports in the 1990s. The Patriarch responded with full support for Putin’s presidential bid, thus undermining speculations about him losing the support of powerful members of the Russian elite. 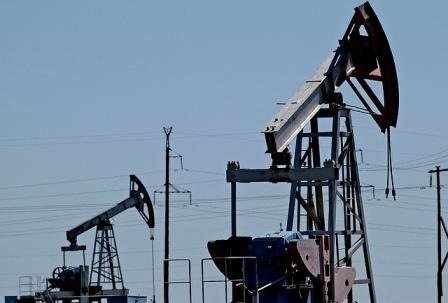 Russian liberals want to speed up privatisation of state assets, among them oil and gas industry. Their conservative opponents want to delay such a reform, arguing that the assets will secure greater rewards for the state in the future (photo: flickr.com, Gennadiy Kolodkin / World Bank). 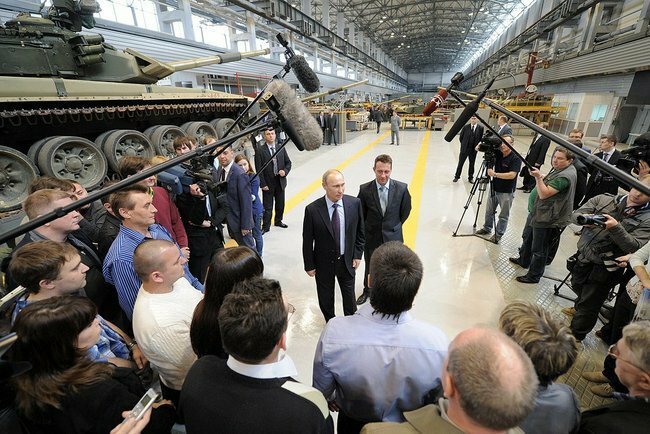 Putin’s economic populism and political rhetoric, questioning the legitimacy of Russian privatisation in the 1990s, could make the earlier privatised assets even more politically toxic and expose them to further arbitrary demands. His windfall tax idea has already created rifts within the domestic corporate and political establishment and has been criticised by former minister of finance, Aleksey Kudrin, and Russian billionaires, Mikhail Prokhorov and Vladimir Potanin, as dangerous for the country’s investment climate as well as undermining the protection of property rights in Russia. Even if the Kremlin decides to abandon the tax as too divisive for the elites, it will be difficult to prevent the debate on unequal privatisation of the 1990s from dominating the domestic political agenda in the future. The focus on the ‘unequal privatisation’ of the Boris Yeltsin era has attracted public attention to the swift rise of Putin-era billionaires and the ongoing battle within the Russian government over the second wave of privatisation. Under Vladimir Putin, several of his alleged friends from St Petersburg emerged as the primary beneficiaries of profitable state contracts, particularly in Russia’s most lucrative economic sector – the oil and gas industry. Some such as Gennady Timchenko and the Rotenberg brothers came to prominence as trading partners for Russia’s national champions, Gazprom and Rosneft. Having generated significant capital, these new players have begun to acquire corporate assets, often from state-controlled companies at a considerable discount. For example, in 2008 the Rotenberg brothers bought Gazprom’s construction assets and subsequently merged them into a private corporation, Stroygazmontazh - Russia’s major pipeline building contractor. One of Russia’s richest men, Gennady Timchenko, as co-owner of the commodity trader, Gunvor, which handles over 1/3 of Russian oil exports, has also been expanding his influence in the domestic oil and gas sector. Timchenko acquired over 20% in Russia’s largest independent gas producer, Novatek, as well as important stakes in foreign and domestic oil and gas service, transportation and chemical companies. The emergence of Gennady Timchenko has been welcomed by some foreign investors who see him as playing a positive role in challenging the traditional dominance of state-controlled energy champions Gazprom and Rosneft in the Russian oil and gas sector. Putin-era billionaires are also emerging as a decisive third force in the ongoing fierce battle between the liberal and conservative wings in the Russian government over the future privatisation of state-controlled oil and gas companies, such as Rosneft, Transneft, Transnefteprodukt and Zarubezhneft. The liberal wing in the old Putin government, represented by Deputy Prime Minister Igor Shuvalov, the minister for economic development Elvira Nabiullina and presidential economic adviser, Arkady Dvorkovich, argued that the state-controlled companies should be completely privatised (with the government retaining a golden share). In the opinion of the liberals, this new wave of privatisation will enable Russia to attract investments for industrial modernisation and the promotion of greater transparency and efficiency of the state-dominated sectors of the domestic economy. However, these liberal privatisation attempts have been hindered by the conservative wing of the Russian government, represented by a group of KGB veterans, or siloviki, headed by first deputy prime minister Igor Sechin. The conservatives do not completely reject a future privatisation, but seek a delay until the external economic situation sufficiently improves to make the sale of state oil corporate assets more profitable for the state and the government. The siloviki also highlight Rosneft’s strategic importance for monitoring the domestic oil industry, attracting foreign investment and technology for new large-scale projects in East Siberia and the Arctic, being a key tax contributor to the Russian budget, as well as potentially becoming a global national oil company (NOC) which will promote Russian energy interests abroad. Although the Putin-era billionaires, such as Mr Timchenko, have traditionally enjoyed good relations with the government conservatives, they are poised to benefit from the new privatisation and will therefore be likely to back the liberal wing. Business circles, which missed the Russian privatisation gravy train of the 1990s, are well aware that the new owners of the privatised companies will play a highly prominent role in the domestic oil and gas sector. As a result, the battle for these assets could be severe and could create further rifts within the Russian government and Putin’s inner circle. The biggest threat to Russia’s stability comes from the growing infighting within the country’s political and corporate elites, which could become particularly prominent in the domestic oil and gas sector. In the context of the growing public discontent, Russian elites could seek to co-opt various factions and groups within the highly divided opposition movement in order to protect their corporate assets in the post-Putin era and potentially gain new ones. In the best case scenario, Vladimir Putin will postpone oil and gas privatisation until Rosneft boosts its international presence and capitalisation through its recent partnerships with international oil companies, such as ExxonMobil, ENI and Statoil. Putin could also facilitate a pact between corporate elites and their political allies on a peaceful division of assets offered for privatisation. Will Vladimir Putin be able to remain in office for a full 6-year term? This would certainly be difficult were big business to demand real political reform (photo: World Economic Forum's Flickr Photostream). In the worst case, privatisation under conditions of growing divisions within the elite and another wave of mass protests coupled with economic instability in external markets could lead to a fast erosion of the existing political and economic system in Russia. In these circumstances, co-operation among key Russian business groups will be of paramount importance for the stable transition to the post-Putin era. However, as long as Russia has no strong democratic institutions, such as free elections, real multiple parties, and free speech, as well as transparent and uncorrupted court and law enforcement system, private corporate assets will continue to be exposed to the arbitrary demands of future Russian rulers and possible political storms. This problem will remain until Russian elites realise that the stability of the domestic political and economic system cannot be based on one man’s popularity ratings, or his effective control over the highly centralised decision-making process and the law-enforcement apparatus. Access to the international legal system, partnerships with Western companies and the use of Western contracts offer only short-term protection of property rights in Russia. Without the establishment of strong democratic political institutions, effectively channelling interests and grievances of diverse social groups, corporate assets of Russian business elites cannot be reliably secure in the long run. 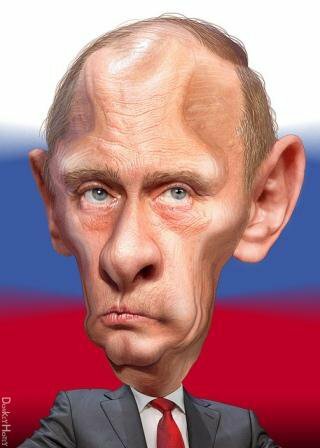 This realisation may drive Russia’s big business towards lobbying Vladimir Putin for real political reforms. The question remains whether Putin will be able to meet these aspirations or will be coerced into cutting his presidential term short.